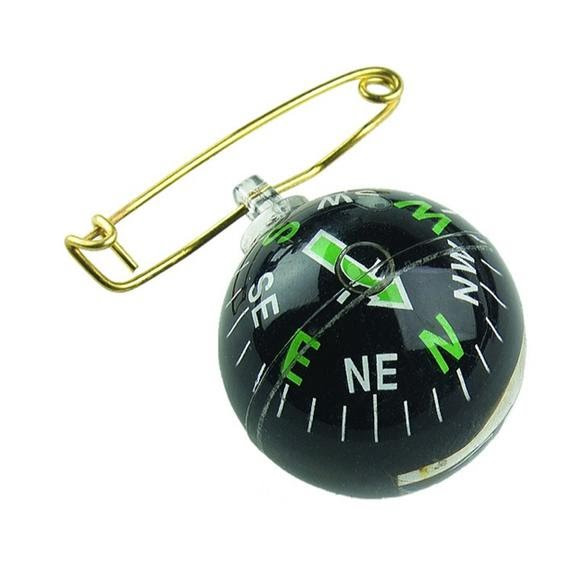 The Allen Co's Liquid Filled Compass on Pin is a ball-shaped compass that is easy to read and works at any angle. With a safety pin type attachment and luminous dial, this compass can clip just about anywhere so it's easily accessible. Perfect for attaching to your hunting vest or camera/binocular strap, this compass can get wet, can be read in the dark, and is great for navigating any terrain. The Allen Co &apos;s Liquid Filled Compass on Pin is a ball-shaped compass that is easy to read and works at any angle. With a safety pin type attachment and luminous dial, this compass can clip just about anywhere so it&apos;s easily accessible. Perfect for attaching to your hunting vest or camera/binocular strap, this compass can get wet, can be read in the dark, and is great for navigating any terrain.